Oil Filter Housing to Block Seals R55 R56 R57 R58 R59 R60 R61. This 2 rubber seals go between the engine block and the oil filter housing. As these rubber seals get old they tend to dry out and leak causing oil to run down the front of the block. 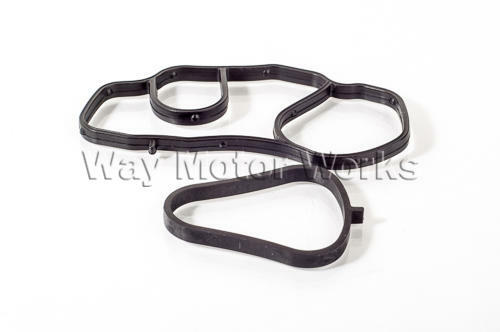 Sold as 2 rubber gaskets seen in the picture.